Bridge over Royal Gorge Railroad, Colorado (Infrared) ©2016 James D Peterson. This scenic railroad was formerly a route on the Santa Fe line. 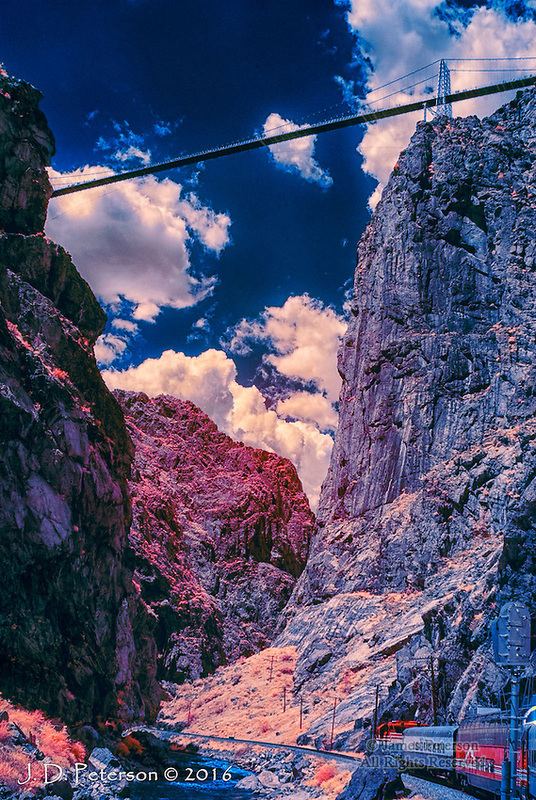 The tracks follow the Arkansas River through this dramatic canyon. My lens was just barely wide enough to capture both the train and the bridge.